The much-awaited Anna Canteens, aimed at providing breakfast, lunch and dinner at subsidised rates to general public, will be made operational across the State from Wednesday. Breakfast, lunch and dinner will be available at the canteens for just `5. 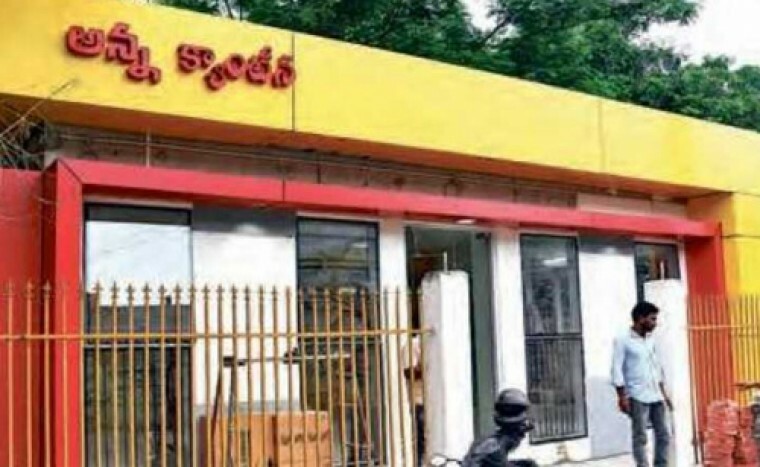 Chief Minister N Chandrababu Naidu will officially inaugurate 103 Anna Canteens in 38 municipal corporations and municipalities across the State at a programme to be held here. As many as 15 Anna Canteens will come up in Vijayawada. The canteens will come up at RTC Workshop Road near Bhavanipuram, Dharna Chowk and Ranigarithota. Officials said Naidu will launch the ‘Anna Canteen’ at RTC Workshop Road. Officials are planning to open 16 Anna Canteens in Guntur district and 10 in Nellore district. Visakhapatnam leads the State with 25 Anna Canteens of which 15 will be opened on Wednesday. The rest are under various stages of construction. On last Saturday and Sunday, a few Anna canteens near Visakha Regional Eye Hospital and few other areas started functioning on a trial basis to seek response from customers. Among the 25 Anna canteens in Vizag, ones at VIMS, MVP Colony, Regional Eye Hospital (REH), Nammidoddi, Chinagantyada, Sriharipuram, Mulagada, Marripalem, Chittivalasa, Anakapalle hospital area, Anakapalli railway station, Turner’s Choultry, Fruit Market, Chest Hospital, Vambay Colony will be start functioning from Wednesday, Project director of Urban Community Development (UCD) GVMC Srinivasan said.